Norman Brannon is a pop critic, musician, and author based in New York City. He presents a weekly music update here on Towleroad and writes regularly at Nervous Acid. Follow Norman on Twitter at @nervousacid. On the same day that Penguin Prison releases his debut album, former Fall Out Boy frontman Patrick Stump will introduce a higher-profile debut called Soul Punk — an album that is inexplicably drawing comparisons to Michael Jackson and Kanye West. In reality, Stump took his predictable falsetto and imposed it over a handful of tested R&B tropes. But it's "soulful" largely because he told you it was. Aside from appearing in a handful of high school plays with his performing arts school classmate Alicia Keys, Chris Glover doesn't have many names to drop or superstar cards to pull, but that's no matter. Penguin Prison succeeds in ways that Stump hasn't quite figured out yet: It's referential without replication. 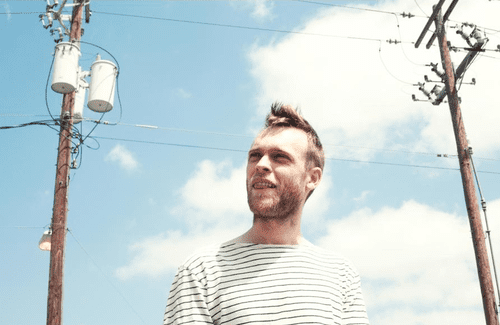 It channels the same '80s R&B that drives Soul Punk without being consumed by it. It tells us more about Glover than what his favorite Prince album is. Outside of the occasional nod to Quincy Jones, we also know this a New York album — equal parts Arthur Russell and early Madonna — and gratefully, it's much harder to cite the references where Glover strays. So while it's possible that he loves Blancmange or that first Badly Drawn Boy album, you'll never put your finger on it. 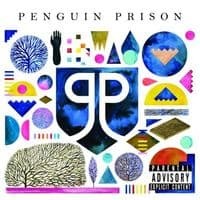 Which is kind of the point: That Penguin Prison is slippery like that is one of the reasons why tracks like "Don't F*ck With My Money" and "Fair Warning" work in the same way that most great pop singles do. To be faithful without being uncomfortably familiar is the mark of a real soul punk. Before there was dubstep, there was just plain dub. 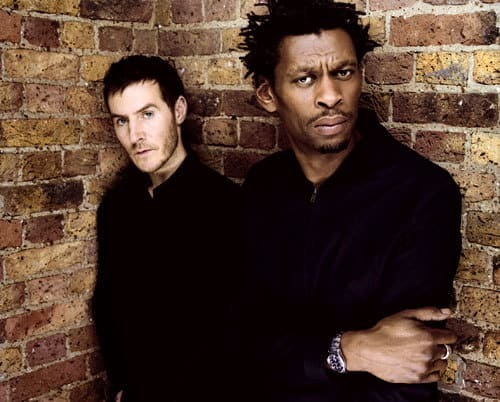 But somewhere in between there was Massive Attack — a UK collective that brilliantly merged dub characteristics with hip-hop breakbeats and sample-heavy house fundamentals. 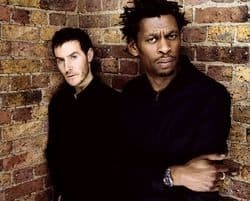 This week, a two-song collaboration between Massive Attack and dubstep pioneer Burial emerged: "Four Walls" is a dark ambient soundscape that demands patience and rewards accordingly, while "Paradise Circus" is an ethereally reworked version of the track from Massive Attack's recent Heligoland LP. A limited edition 12" of the songs is already sold out. Robyn isn't quite done with Body Talk just yet: The singer will appear as a musical guest for the Ellen Degeneres Show on October 20, where she'll perform "Call Your Girlfriend." 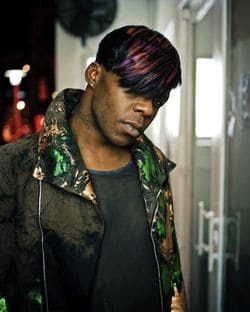 Sissy bounce ambassador (and undisputed queen) Big Freedia is teaming up with Spank Rock for the Check Yo Ponytail tour, which begins on October 20 in Los Angeles and runs cross-country through November. Also just released: a Flinch remix of Freedia's "Excuse" that somehow manages to add even more bass. This week's crucial streaming: Lykke Li resurfaces with this haunting new version of the Righteous Brothers' "Unchained Melody." Diplo and Switch have not abandoned their Major Lazer project, and they're leaking demos for their new album to prove it: "Original Don" is one of the tracks up for consideration. And the Cure's Robert Smith makes an appearance on "Come To Me," a new song from UK post-rockers 65DaysOfStatic. Smith's vocal is more filtered and fractured than pushed up front, but the result is sublime. Death Cab For Cutie have announced the new Keys and Codes: Remix EP — a companion piece to their excellent Codes and Keys album released earlier this year. They're revealing the tracks in succession over at this mini-site, where you can listen to remixes by Cut Copy and The 2 Bears now. Radiohead are seemingly everywhere these days, but here's a new way to listen to them: Thom Yorke recently stopped by London's Boiling Room for a 30-minute DJ set, and it's available for download now. Tayisha Busay — "Nothing's Happening"
Focus/Virus, the debut album by Tayisha Busay out on Amazon and iTunes today, brings the Brooklyn trio out of the queer-pop underground and into a new light: The new record is sophisticated and insanely hooky, while the aesthetic evokes everything from Kylie Minogue to Kraftwerk — without the fragmented quality of a band that's trying too hard. Not that they've lost their sense of humor: "Nothing's Happening" employs Girl Talk visual artist and video director Thu Tran for an unabashedly campy dose of neon graffiti. One of this week's must-hear new releases, Hurry Up, We're Dreaming — the latest album from M83 — is the kind of 21-song double-album that words like "epic" were created to describe. Lead single "Midnight City" is indicative of the record's grand gestures, and the video is no less absorbing. Because it's always a good idea to let loose a bunch of kids with psychokinetic powers in an abandoned factory with a camera crew. The Saturdays — "My Heart Takes Over"
You can't fault them for trying, and with "My Heart Takes Over" — the latest from their forthcoming third album On Your Radar — The Saturdays get that much closer to snatching Sugababes' UK girl-pop crown. It's the third single, so, you know, this is the one where they show you they're all sensitive and stuff. But surprisingly, it works. 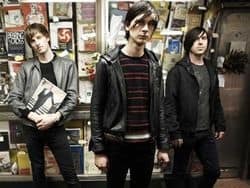 It's only been a couple of weeks since Fanfarlo released the video for "Replicate" — the lead single from their as-yet-untitled second album. In some ways, the follow-up clip, "Deconstruction," is that video's opposite: It's more of an uptempo indie pop song filtered through a tongue-in-cheek highbrow concept — as if Derrida showed up to direct a Joe Jackson video.